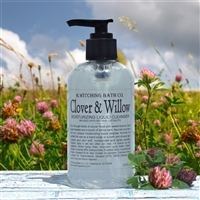 Nourish your skin with our unique moisturizing liquid cleanser formula infused with honey, pure fragrance oils and flower distillates. Enjoy aromatic notes of fresh air, sweet hydrangea floral and crisp green leaves. 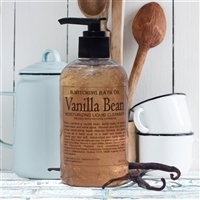 It's perfect for use as a hand soap or luxurious bath and shower gel. 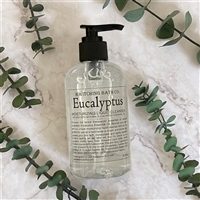 Leaves skin soft, moisturized and lightly scented. 8 fl. oz. Distilled Spring Water, Isoprpoyl Myristate, Cetearyl Alcohol, Cetearath 20, Caprylic/Capric Glycerides, Dimethicone, Stearyl Alcohol, Soybean Oil, Sunflower Oil, Goat’s Milk Protein, Hydrolyzed Silk, Disodium EDTA, Diazolidinyl Urea, Benzophenone4, Iodopropynyl Butylcarbamate.